Using layouts – How can we help? In Fusion, you can choose from hundreds of professionally designed layouts and customize them in any way you like. A layout is the way in which the parts of something are arranged or laid out. For a yearbook (or any other publications), it's the way all the components of a page are arranged (text, images, elements). 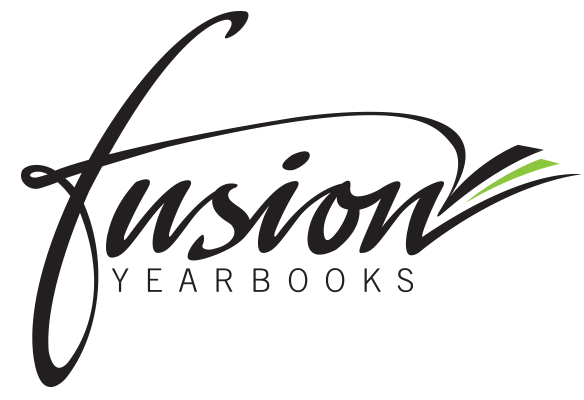 In Fusion, you have access to hundreds of free layouts. To browse the layouts available, click the Layouts tab. You can then scroll through the layout pane to preview each layouts. To load a layout in your page, simply click on it. You can also choose to drag the selected layout onto the page. All our layouts are free to use. If the FREE sign doesn’t show on a layout, it doesn’t mean that you’ll have to pay anything. It just means that the layout uses premium images or elements. Replace those images with your own photos and the layout will be free again. To know which are the premium elements you need to remove, simply click on the information button (i). To remove a layout from your page, select it and press delete or replace it with another one. WARNING: when you delete or replace a layout, the content will be erased as well. So make sure you choose the right layout before typing your content. To access your images, click on the Uploads icon. To use a photo in your layout, simply drag it at the desired location. To add text, simply select a text box on the page and replace it with your own. You can easily change your page background. Click, or drag it onto your page. If you’d like, you can also use one of your photos as a background. For this, go back to your uploads tab, drag a photo onto your page and click Back to layer it behind everything else. 02. Use thousands of free elements or over 1 million premium images. You can use the folders, which are sorted into different themes such as shapes, lines, charts, and other things related to school life. Choose from hundreds of options, drag your favourites onto the page, and edit them as you like, such as changing the colour or playing with the transparency. If you are missing a contextual photo for one of your pages, you can also browse over 1 million premium images. Simply type a keyword in the search bar and see what we’ve got for you. As these images are provided by professional photographers and artists, they do have a usage fee. You can use these for $1 each. Move, resize or rotate it.